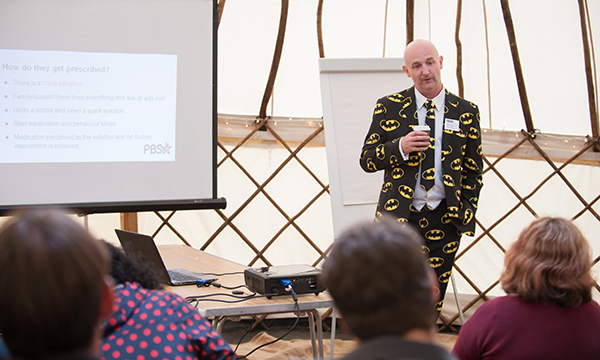 A one-day festival explored the use of Positive Behaviour Support to ensure people with learning disabilities and autism live fuller lives. Move over Glastonbury; the Positive Behaviour Support (PBS) Festival has arrived. 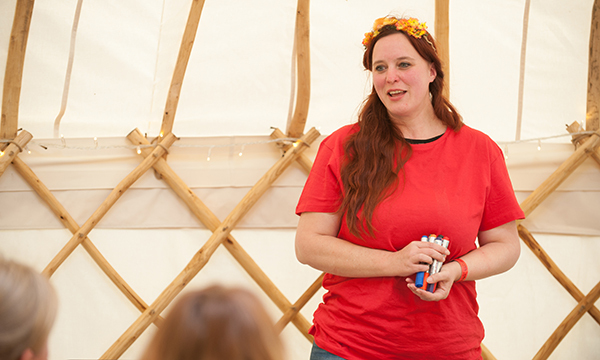 There were yurts, wacky costumes, crafts and creative-thinking spaces, but this was a festival with serious intent: to explore how to use PBS to help people with learning disabilities and autism live fuller lives. The one-day event was intended to take nurses, social care staff, academics, care home managers and others working with people with learning disabilities out of their everyday environments and get them to ‘think differently’, says event organiser Lynsey Way. The festival attracted 190 people from the NHS and private sector, including behaviour specialists, support workers and managers of residential and day services. On site in Cobham, Surrey, yurts were used as 'thinking huts' and 'skills tent', and there was a 'Conversation Street' as well as woodland where people could walk. The setting was chosen to encourage speakers to leave their comfort zones and engage directly with each other. 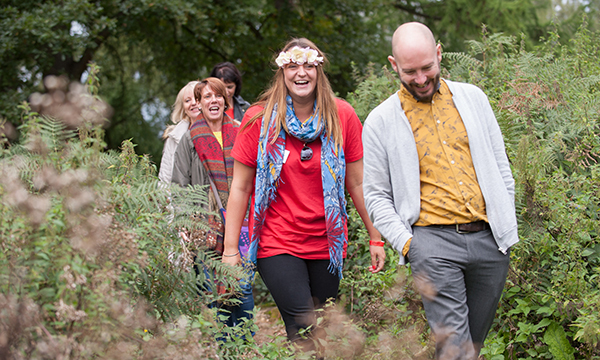 Experiential learning events in mindfulness, creative-art therapies and nature-based activities gave people the chance to share the skills and expertise of several provider organisations including Surrey County Council, CMG, Dimensions, and the UK-based collective the PBS Academy. Ms Way, who is strategy lead at a London-based learning disability support initiative, the Care Management Group, says: ‘PBS requires partnership and this includes healthcare professionals. There is a growing support for the use of PBS in mental health for adults and children, the reduction of medication in treatment of challenging behaviours. And the role of physical health in quality of life also means that healthcare professionals may find the framework beneficial in their work and for their patients. Ms Way also says healthcare professionals can learn more about assessment and treatment units and the role they play in challenging behaviours. Moreover, they can understand what can be done in community services about challenging behaviour. 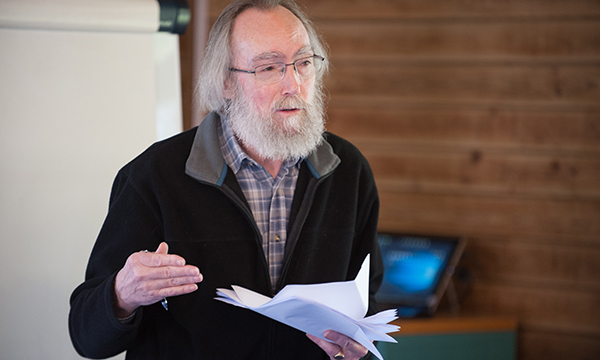 Professor of clinical psychology at the University of Kent Peter McGill emphasised the importance of understanding the immediate context of where the behaviour is taking place, such as the home, workplace or classroom. These are all environmental components that could present workforce challenges, so a whole-system understanding and approach is necessary. He argued that a capable environment is what is needed. This is a social and physical context that supports capable behaviour and discourages behaviour that challenges. This recognises behaviour that challenges as not just a problem for an individual, but one of the system. Positive Behaviour Support (PBS) is a framework that enables a detailed understanding of a person, their behaviour and their skill set. The framework uses functional assessment and might involve interviews with the person or other people who know the person well, observations, direct working and the analysis of other behavioural data. The aim of a PBS framework is to create strategies and support planning to enhance the person’s life, inform and collaborate with people who work with the person every day and thereby reduce the frequency, severity and intensity of behaviours that may be considered challenging. PBS requires partnership between the behaviour specialist, practitioner or other professionals using the framework and other people involved in the individual’s life. Senior research fellow at Warwick University Louise Denne and senior clinical trainer in PBS in the North East and Cumbria Alison Branch, outlined new standards for training. New service provider teams were launched by the PBS Academy in October. Ms Denne said that, although there is guidance in health and social care referring to PBS practice, there is a disconnect between this guidance and workforce development proposals. She argued that improving support is achieved best by working collaboratively with all stakeholders in the community. Chief enablement officer and nurse consultant for PBS provider PBS4 Jonathan Beebee considered whether medication for behaviour that challenges can be an effective part of a PBS plan. The Stop Over Medicating People with Learning Disability (STOMP) initiative highlights how medication can be overused for people with learning disabilities and inappropriately reviewed. Independent behavioural care provider the Priory Group's locality manager Adele Grandon discussed the difficulties and challenges families face using applied behaviour analysis and PBS when raising children with disabilities and supporting them through adulthood. Ms Grandon said pitfalls for practitioners included: failing to recognise and analyse the role that other settings play; failing to adapt communication so that everyone can understand; and conflicting opinions among family and providers. She added there are specific issues working with adults, parents and young adults who are unprepared for transition to adulthood, there is too much focus on what individuals cannot do and a belief that someone is too old or set in their ways to benefit from PBS.